I came to realize throughout the project how fortunate I was to be surrounded by support from family, co-workers, and my graduate school department. A sincere thanks is conveyed to family, friends, and colleagues that made my thesis possible. First and foremost, I would like to express my gratitude to Dr. Greg Carbone. He has been there for me since the first day I walked into his office ten years ago as an undergraduate. I will always be grateful for his teaching, guidance, and friendship. In addition, I would like to thank Dr. Robert Lloyd and Dr. Michael Hodgson for their participation and assistance. I appreciate the participation of Lexington County Department of Planning and Development. The project would have not been possible without the volunteer weather observers. Thanks to each of you that diligently recorded daily rainfall for over two years. 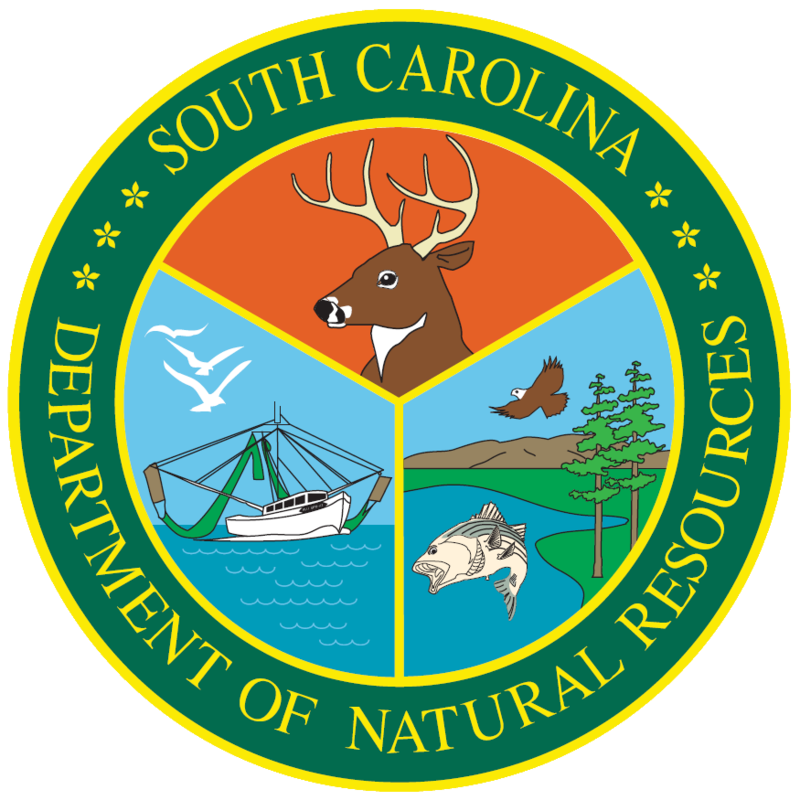 I thank my friends at the South Carolina Department of Natural Resources, Southeast Regional Climate Center and National Climatic Data Center for funding the project and for their encouragement. I especially recognize Dr. Michael Helfert for his confidence and persistence in making sure I completed this degree. I deeply thank him for his daily support and interest in my quest for knowledge. I also want to thank my parents for their unconditional love and support. Thank you for giving me a solid foundation filled with so many opportunities. Even though my mom has passed away her encouragement and strength were with me every step of the way. For my dad, thank you for always being there for me and for giving me the opportunity to succeed. Thanks also to my immediate family especially my parents-in-law. I am blessed to have such a close and loving family. Most importantly, I want to express my thanks and love to my husband, Tony. Your dedication to me has helped me overcome the rough times and shine through the good ones. Thank you for your patience, love, devotion, and for helping make all my dreams come true. The deployment of the National Weather Service Weather Surveillance Radar-1988 Doppler (WSR-88D) has provided an improved tool for monitoring precipitation distribution. Because the WSR-88D can estimate rainfall at high spatial and temporal resolution, it has great potential for meteorological and hydrological modeling. Unfortunately, a number of factors introduce discrepancies between radar rainfall estimates and actual rainfall at the Earth's surface. In this paper, I compare rainfall estimates from the Columbia Airport National Weather Service WSR-88D with precipitation recorded by 62 standard rain gauges and 10 tipping gauges in Lexington County, South Carolina. The study included 7 precipitation episodes that covered a variety of synoptic types such as convective storms, tropical systems, and stratiform events. Discrepancies between the gauge and radar were analyzed by storm event to determine what potential synoptic or inherent factors caused the differences. The analysis used a Geographic Information System and SAS regression and ANOVA models. Results show that the radar consistently underestimates precipitation, independent of the storm type. When all the storms were combined, agreement between precipitation estimates from gauges and radar was weak, with the total for the gauges being 20.9 inches on average and that for the radar 8.1 inches on average, a difference of 61%. However, when the storms were considered individually, two storms had a radar-gauge difference of less than 5%. The degree of underestimation varied with storm intensity, duration and type. The radar's performance was the weakest during the three stratiform storms. The underestimation of 75% of the gauge data was probably attributed to the light, widespread rain and small dropsize. Overall, the convective events had the highest average percent accuracy with the radar estimating 96% of the gauge data. However, the radar estimation accuracy was not consistent. The factors during these convective systems which probably had the greatest effect on radar measurements were enhancement of reflectivity by hail and larger than average raindrops and diminution of estimation by small drops and downdrafts. The radars estimated precipitation during the passage of Tropical System Earl, September 3-4, 1998, ranged from 20% to 86% as compared to the gauges. The abundance of moisture associated with tropical maritime air makes it difficult for the radar to determine a representative reflectivity. The results from this study indicate that the radar can't yet provide the spatial distribution of surface rainfall that is needed for many operational and research applications. Because of the great variability in the intensity and distribution of precipitation, more radar-gauge comparisons should be conducted covering a larger number of storms. Future research has been stimulated by these results which include analysis of the radar level II base reflectivity data to determine whether the error sources were caused by inaccurate reflectivity values, an incorrect Z-R conversion, or a combination of the two. Results from both studies will ultimately be coupled with efforts to eliminate the systematic biases of the radar and improve quantitative precipitation forecasts. Decision-makers and researchers require accurate spatial and temporal precipitation estimates. High resolution flood and drought monitoring, management of agricultural crops, forecasting hydroelectric power, assessments of extreme precipitation events, and other water resources management applications all require reliable precipitation inputs (Real-Time Calibration of Radar Precipitation Estimates, 1998). For a century, the rain gauge has been the standard for measuring surface rainfall and is often assumed to be "ground truth" because of its long service and widespread use (Hunter, 1996). However, gauges produce point measurements that are assumed to represent a larger area. The United States meteorological network consists of about 8,000 daily rainfall recording stations (Groisman and Legates, 1994). Distances between stations often exceed 60 miles (Real-Time Calibration of Radar Precipitation Estimates, 1998) providing inadequate spatial sampling. Gauge measurement errors produced by wind/turbulent losses (Yang et al. 1998; Groisman and Legates, 1994), gauge wetting, splash into and out of the gauge (Brandes and Wilson, 1998), and evaporation (Austin, 1987) compound the estimation problem. The recently installed network of WSR-88D Next Generation Weather Radars (NEXRAD) attempts to solve these problems by providing a temporally continuous spatial estimate of rainfall. The WSR-88D precipitation processing system brings a dramatic advancement to operational radar estimated precipitation in the United States. The weather radar is capable of providing high resolution rainfall estimates up to 124 nautical miles from the radar site (Cammarata, 1998). Unfortunately, this land-mark development suffers from limitations inherent to the use of radar to estimate precipitation, limitations that have persisted despite 50 years of field research (Hunter, 1996). where a and b are coefficients. A significant problem is that the Z-R relationship values vary as a function of storm types because of the differences in raindrop size distributions (Joss and Lee, 1995). Additional factors complicating the Z-R relationship include: beam attenuation (Austin, 1987; Hunter, 1996), range effects (Hunter, 1996), temperature and vapor gradients (Joss and Lee, 1995; Hunter, 1996), hail and vertical air motions (Austin, 1987), accretion and evaporation (Wilson, 1979). Although radar has been used experimentally for nearly 30 years to measure rainfall, operational implementation has been slow even with the advent of the WSR-88D (Wilson et al. 1979). Consequently, assessment of radar accuracy has also lagged. Successful assessment requires comparison of radar estimates with rain gauge measurements (Wilson et al. 1979). How accurate are WSR-88D radar rainfall estimates compared to precipitation measured in a dense rain gauge network? This study addressed that question through detailed and quantitative comparisons of rain gauge and radar records in Lexington County, South Carolina. The project used a loose coupled Geographic Information Systems (GIS) approach to model the relationship between the gauge and radar data. The study included 7 precipitation events that covered a variety of synoptic types such as convective cells, tropical systems, and stratiform events. Discrepancies between the gauge and radar were analyzed by storm event to determine what the potential synoptic or inherent factors were causing the differences. Although the network of WSR-88D radars provides detailed rainfall information that is readily available to the user, these data are not being used to the fullest extent. Confusion and misunderstanding about the ability of the radar to measure rainfall and about the factors that contribute to errors lead to this underutilization of the data. There is an increasing amount of research relating to the topic of radar-rain gauge comparison. However, as Austin (1987) emphasized, due to the great variability in the intensity and structure of rain events, more radar-gauge comparisons should be made in order to cover a larger number of storms for different geographical locations. It is important to have an understanding of the physical factors impacting the radar's accuracy to make the best possible estimate of surface rainfall from the radar and gauge data available for the particular event. The study was also triggered by a previous analysis conducted by the National Climatic Data Center (NCDC). NCDC compared NEXRAD estimated storm total precipitation with rain gauge measured total precipitation for 5 events. The Columbia Metropolitan Airport WSR-88D radar was analyzed during Tropical Storm Jerry, August 1995. The results indicated that out of 6 radars (Columbia, Houston, Kansas City, Melbourne, Mobile, and Slidell) the Columbia radar was second worst in estimating rainfall. Since this study did not have a dense network of rain gauges for comparison a new study was needed to analyze the Columbia radar over an extended time period. Several investigators have analyzed the relationship between radar and rain gauge precipitation totals (Woodley and Herndon, 1970; Wilson and Brandes, 1979; Austin, 1987; Brandes and Wilson, 1988; Wilson et al., 1997). Most studies used National Weather Service (NWS) rain gauges with densities exceeding 40 miles. Wilson, French, Bhaskar, and Anderson (1997) conducted a study using a network of 30 high resolution rain gauges in Jefferson County, Kentucky for 1 precipitation event. While other studies were not limited to 1 event most did not cover a variety of synoptic conditions. Austin (1987) conducted a radar-gauge comparison using 33 NWS gauges for 9 convective storms and 6 stratiform storms in New Hampshire. Wilson and Brandes (1979) provide a thorough review of various studies including extensive bibliographies. Radar-gauge comparison studies have yielded varying results ranging from a 10% to 60% overall precipitation difference. As emphasized by Austin (1987), the extent to which results from 1 study can be applied to other geographical locations is questionable. Minimal analysis has been conducted in the Southeast. Lott and Sittel (1996) compared radar estimated precipitation with rain gauge measured precipitation for 5 events, 4 of which were in the Southeast. There are questions about the reliability and usefulness of analysis on 1 or 2 event episodes. This project proposed a unique analysis by performing a radar gauge comparison using a dense network of gauges over a variety of synoptic events in the Southeast United States. The WSR-88D radar brings a definite advancement to rainfall estimates across a continuous surface when compared to earlier radars and the sparsely represented rain gauge network. However, the WSR-88D radar experiences significant limitations inherent to the use of a radar to estimate precipitation. A significant problem is attributed to the non-linear relationship between radar reflectivity and rainfall rate at the surface (Hunter, 1996). The radar processes a returned reflectivity from the precipitation droplets in the volume of the radar beam. Rainfall rates are proportional to the volume of the raindrops, while the reflectivity is proportional to the raindrops' surface area. Therefore, a raindrop size distribution must be assumed to convert from reflectivity to rainfall rate. If the raindrop size distribution were exponential and known, there would be no error in the radar rainfall estimates (Wilson, 1979). However, the raindrop size distribution is rarely known because it varies widely as a function of storm types. Wilson and Brandes (1979) suggest that even for similar type storms in the same geographical area variations in the Z-R relationship may exist. Thus, an average empirical Z-R relationship must be used. Conversion from reflectivity to rainfall rate are accomplished using a Z=300R1.4 (Burgess and Ray, 1992) although an alternative equation Z=250R1.2 (Cammarata, 1998) may be used during tropical events with special permission of the WSR-88D Operational Support Facility (OSF) in Norman, Oklahoma (Burgess and Ray, 1992). Another potential relationship that can be used for intense convective cells is Z=400R1.3 (Austin, 1987), however, not all forecast offices implement this formula. A single Z-R relationship is inadequate to provide the appropriate conversion for all precipitation events. Error can occur in the conversion even using the relationships by storm type. Woodley and Herndon (1970) indicate that convective rainfall estimates in the southern United States using the standard Z=300R1.4 were extremely underestimated. Another factor on the radar estimate of precipitation is the effects of precipitation with height. The curvature of the earth impacts the radar observation height. If either the nature or intensity of the precipitation varies with height then the radar estimates may not represent surface rainfall (Joss and Lee, 1995; Austin, 1987). Significant growth of raindrops by accretion within 1.2 miles of the surface can cause the radar to underestimate the rainfall (Austin, 1987). Evaporation at lower levels can cause the radar to overestimate surface rainfall (Austin, 1987). Several factors during convective storms can distort the radar signal. This could be a major factor for this study because convective storms are the primary source of rainfall during the summer months. The presence of hailstones in convective storms causes a sharp increase in reflectivity as compared to the water equivalents (Austin, 1987). Strong vertical air motions associated with convective storms alter the fallspeed of the raindrops (Austin, 1987). Updrafts decrease the signal returned to the radar and downdrafts increase the signal (Battan, 1976). Anomalous propagation is a limiting factor which occurs when large vertical gradients of temperature and or water vapor in the atmosphere bend microwave rays up and down (ducting) which can cause interception of the beam by the ground (Hunter, 1996). Doppler radar uses an algorithm filter to eliminate most of the ground clutter (Burgess and Ray, 1992). A commonly discussed limiting factor is the effect of distance from the radar on the accuracy. The Earth's curvature and standard refraction force the beam to be elevated above the surface with increasing range (Figure 1.1) (Brown and Wood, 1987). Due to beam overshoot the radar does not sample layers near the surface. This will be more pronounced in the cool season when the cloud bases are lower (Hunter, 1996). Beam undershoot can be a problem close to the radar. This may cause a "cone of silence" region surrounding the radar where precipitation is underestimated (Cammarata, 1998). The cone of silence region is usually within 8 miles of the radar site. Despite radar advancements, rainfall estimates are usually based on point observations of rainfall from gauge data. The rain gauge's long service and widespread use has made it the standard for measuring surface rainfall (Hunter, 1996). However, there is error in gauge measurement especially due to turbulence and wind flow losses (Yang et al., 1998). Wilson and Brandes (1979) determined that wind/turbulence errors are usually around 5%, but with high winds in thunderstorm outflows can be as high as 40%. The WSR-88D radar 4 km by 4 km grids are composed of range bins. The radar corrects isolated reflectivities and normalizes the bin reflectivity data (Figure 1.2) before the Z-R conversion is performed and summarized for the grid. Since it would be costly and impractical to have a rain gauge for each bin, an interpolation technique is needed to estimate precipitation where there are no rain gauges. This study used two interpolation techniques to create a precipitation surface: inverse distance weighting (IDW) and kriging. The inverse distance weighted interpolator (IDW) assumes that each data point has an influence that diminishes with distance. Cells closer to the processing cell gets weighted higher than those farther away (ArcView Spatial Analyst, 1996). One advantage to IDW is the faster performance speed, but it has a tendency to create a pattern of concentric contours around the data points (Surfer for Windows, 1996). The interpolated values are also bounded by the minimum and maximum values of the analysis data. This is a disadvantage because in order for the interpolated surface to be representative it should predict locations of maximum and minimum values even when they are not included as original sample points (Lam, 1983). One of the most flexible interpolation schemes is kriging. Kriging develops variograms that show the correlation between the base and surrounding stations as a function of distance (Young, 1992). These variograms are used to determine weights given to the surrounding station values (Surfer for Windows, 1996). There are two systems of kriging procedures, simple kriging and universal kriging. Lam (1983) provides a thorough analysis as well as calculations from the two kriging methods. Universal kriging was used for this analysis because it has less restrictive assumptions about the data being used and because of precipitation's nonstationarity over space. The stationarity assumption requires that all sample points are taken randomly and independently from one simple probability density function (Lam, 1983). Universal kriging assumes that the increments of the variable have some properties of stationarity only within a neighborhood and that the trend or drift for a neighborhood can be described by a polynomial function (Lam, 1983). Drift is defined as a systematic change in the data at a particular location (Arc/INFO, 1996). A major advantage of either kriging method is that it can be used on almost any data set (Surfer for Windows, 1996). Since kriging is based on the regionalized variable theory, statistical inferences about the data are utilized for the modeling (ARC/INFO, 1996). The primary downside of kriging is the computations can be slow for larger data sets (Surfer for Windows, 1996). Determining the most accurate interpolation technique was mandatory since the interpolated surface would represent the actual rainfall for the analysis. No interpolation technique is superior to all others for all applications. Therefore, this study utilized two theoretically different interpolation techniques in order to provide the most accurate precipitation surface. A rainfall accumulation comparison study was conducted using the Columbia National Weather Service WSR-88D rainfall estimates and rain gauge data from a network of densely-spaced rain gauges (Figure1.3). The recent installation of the radars, the paucity of research evaluating WSR-88D precipitation estimates, and the difficulty of applying results from different regions demands such a comparison. The evaluation was carried out using a Geographical Information System (GIS) and statistical models. Chapter 2 follows with a more detailed explanation of the methodology of the study and a description of the study area, time period, and data. Chapter 3 contains results of the GIS and statistical analysis. Chapter 4 provides a discussion of the results and the final chapter contains a brief summary of the study and a discussion of future research potential. Rainfall estimates from the Columbia National Weather Service WSR-88D radar were compared to rain gauge data from a network of 72 densely-spaced rain gauges. The gauges were installed and maintained in Lexington County, South Carolina, by the Lexington County Department of Planning and Development and the South Carolina State Climatology Office. The WSR-88D radar is within the county, providing a range to the gauges that decreases the potential for error due to beam elevation. The rain gauge network consists of 62 manually read and 10 automated recording gauges placed at a density of approximately 1 gauge per 10 square miles. Rain gauge and radar estimates for 7 storms, covering a variety of synoptic types and precipitation patterns during 1997-1998, provide a basis for detailed comparison. Gauge accuracy, availability and accuracy of radar data, and synoptic type influenced the choice of 7 precipitation events. Three stratiform systems, 3 convective events, and 1 tropical precipitation episode were selected (Table 2.1). The original data set included 2 additional events, March 18-19, 1998 and June 2, 1998, that had to be excluded because there was no radar data available throughout several hours of each event. Hourly data from the tipping gauges confirmed that moderate rainfall was falling during these missing hours. The availability and the accuracy of the radar data was the single most limiting factor in selecting the events. The primary product of interest for this study is the precipitation estimation products from the WSR-88D radar. The radar does not record precipitation directly instead it processes a returned reflectivity from the precipitation droplets in the volume of the radar beam. (The following discussion about the radar was acquired and summarized from the WSR-88D Training Manual.) The precipitation preprocessing algorithm uses base reflectivity data from the four lowest elevation angles as input (regardless of the VCP). The base reflectivity is quality controlled in order to get the best reflectivity values to build a sectorized hybrid scan (1 o * 0.54 nautical mile sample volume). The hybrid scan is constructed such that the best possible reflectivity value from the lowest four tilts is selected for conversion to rainfall rate. From the hybrid scan, reflectivity data (dBZ) is converted to rainfall rate using the Z-R relationship (Z=300R1.4 is the default relationship). The rainfall rates at the 0.54 nautical mile (nm) * 1o resolution are then converted to a new resolution, 1.1 nm * 1o. This is achieved by averaging the rates in the adjacent 0.54 nm gates, and placing the average in the corresponding 1.1 nm gate. Throughout this entire process various quality control checks are performed such as the example in Figure 1.2. The precipitation accumulation algorithm is then implemented to produce scan to scan and hourly accumulation products. The one hour digital precipitation array (DPA), an accumulation in the 1.1 nm * 10 polar form converted to a 2.2 *2.2 nm rectangular grid, was retrieved for this study. Once the data is recorded at the National Weather Service a NEXRAD Information Dissemination Service (NIDS) vendor distributes the products to the various users. The binary data from the NIDS vendor was ingested at the South Carolina State Climatology Office for the study period. A C program from the University of South Carolina was utilized to decode the binary code and provide a tabular output (Appendix 2.1). This data was then entered into a Geographic Information System which will be discussed in section 2.3.1. Bad WSR-88D grid values were summarized using the University of South Carolina program. An hourly analysis of each event uncovered that the bad grid values were only an indication that the radar was in "clear air mode". These bad grid values were set to 0 (inches) precipitation since the "clear air mode" indicates no precipitation was observed. Events were excluded from the study when the radar was temporarily in-operational or if the radar was switched to "clear air mode" before the entire precipitation event was concluded. The later occurred more frequently since the NWS radar operators do not leave the radar in precipitation mode unless necessary because of stress on the system. The radar has to perform an increased frequency of scans at more elevations during the precipitation mode. The operators sometimes switch the radar to "clear air mode" as the precipitation event is ending, however, the region may still be receiving as much as 0.10 inches (Charnick, 1999). Through collaborative efforts, the Lexington County Department of Planning and Development and the South Carolina State Climatology Office installed 109 manual daily recording gauges and 10 automated hourly rain gauges in Lexington County, South Carolina. The manual gauges were National Weather Service approved 4 inch diameter by 14 inch height plastic rain gauges. The automated gauges were tipping buckets that record at 15 minute intervals. The network of gauges was placed throughout Lexington County in order to provide a dense coverage that would serve as the true and accurate base precipitation coverage for the radar comparison study. Since the study period extended over 2 years, numerous rain gauge volunteers did not record all precipitation episodes. A detailed daily quality control check on all the data also revealed the variation in data quality. This process led to the elimination of those gauges that had excessively high or low precipitation values, combined events, or missing days. Three National Weather Service Daily Cooperative Stations in the county - Batesburg, Pelion, and Gaston - were added to the study because of the consistency between reporting techniques. Table 2.2 provides the number of gauges reporting during each event. Only stations reporting at least 5 out of the 7 events were utilized in the analysis. The 10 automated tipping gauges were installed within 2 river basins, Twelve Mile Creek and Fourteen Mile Creek (Figure 2.3). For equipment consistency with other hydrological studies being conducted, the UNIDATA Model 6506B tipping bucket was selected for this study. Figure 2.1 provides details about the tipping gauges such as calibration and recording sensitivity. These 10 gauges were analyzed separately to prevent introducing error due to different recording techniques. The study of the 2 connected basins provided a smaller scale analysis that included hourly and daily recording intervals. The point data from the network of rain gauges was used to create an interpolated precipitation surface. The interpolation was performed by kriging and IDW. IDW was carried out in ArcView Spatial Analyst. An Avenue script (ESRI programming language) executed the kriging interpolation (Appendix 2.2). The accuracy of each interpolation scheme was measured for each event by using half of the data to interpolate and comparing interpolated values against data from the other half of the set. The IDW and kriging surface were each subtracted from actual values yielding an interpolation error. An Analysis of Variance (ANOVA) statistical test determined if the technique errors were significantly different (Appendix 2.3). The range of the error as well as the absolute value of the summed error was also considered. The interpolation technique with the smallest range and lowest absolute error per event was used to interpolate a surface for the entire network of stations. The most accurate technique was also used to create a precipitation surface from the tipping gauges for the 2 basins. The purpose of the study was to explain quantitatively any discrepancies between the gauge and radar rainfall amounts. The project used a loose coupled Geographic Information Systems (GIS) approach to model the relationship between the gauge and radar data. A Geographic Information System (GIS) was developed to analyze, by storm event, the discrepancies between the gauge and radar data. GIS provided the platform needed to manipulate the layered, spatially distributed databases involved in the study. Figure 2.2 provides a conceptual model of the analysis. The GIS software used for this study was ArcView and its programming language Avenue. The modeling applications were implemented using local, focal, and zonal operators (Tomlin, 1990). Loose coupling between GIS and the Statistical Analysis Software (SAS) was also required. The embedded applications were developed through the ArcView scripting language - Avenue. Arcview zonal operators were used to calculate zonal statistics for the county-wide zone as well as the 2 zones that separated the county according to distance from radar. An embedded script was created to summarize the interpolated gauge data and difference data by the WSR-88D grid boundaries (Appendix 2.5). This function was necessary in order to convert the interpolated point data into a comparable block of data that could be compared to the WSR-88D 4 km by 4 km grids. Arcview zonal operators performed the zonal statistics for the WSR-88D grids. The mean of the interpolated surface for each WSR-88D grid was calculated and displayed. This assisted in the visual comparison of the data as well as the SAS analysis. A loose coupled model between the GIS and SAS was invoked to perform a regression model to estimate the degree of closeness of the relationship between the radar and gauge precipitation estimates (Appendix 2.6). Before the regression could be performed the distribution of WSR-88D and gauge data were examined. Since neither gauge nor doppler data were normally distributed a logarithmic transformation was required before the regression analysis could be implemented. TableCurve 2D software (SPSS, 1995) was used to test whether the relationship between log transformed gauge and radar data was linear. SAS was also used to calculate the Analysis of Variance (ANOVA) on the radar-gauge differences represented as percentages to determine if any of the 7 events were significantly different from each other. The WSR-88D data was divided by the gauge data using an embedded GIS function. This yielded a percentage value that was evaluated by a SAS ANOVA test (Appendix 2.7). The percentage data was used since the scale of the 7 different precipitation events varied by as much as 5 inches. Percentage data put all the events into a comparable scale. A logarithmic transformation on the percent data was performed before the analysis began since this data also failed the test for normality. The Student-Newman-Keuls (SNK) model tested the homogeneity of all the event means. The same GIS and statistical models as discussed above were performed for the radar and tipping gauge comparison. The 10 tipping gauges and the 22 WSR-88D Grids within the basin were compared using the embedded GIS applications as well as the SAS regression and ANOVA models. This basin was analyzed separately to provide a smaller scale study. The study was also separated to avoid introducing potential error caused by combining tipping gauge measuring techniques with the standard manual measuring methods into one analysis. Having the smaller basin output using the tipping gauge interpolated surface as the rainfall "ground truth" enhanced the results for the original manual gauge study. This summary of results begins with the outcome of the interpolation validation. This validation was a significant part of the research's foundation and an inaccurate precipitation surface would manifest itself throughout the analysis prohibiting a true radar-gauge comparison. The majority of the chapter will include the results of the Geographic Information System and statistical models. The ANOVA showed that there was no significant difference between IDW and kriging for any of the 7 events. Therefore, the technique with the lowest summed absolute error and/or smallest error range was used for the interpolation of the base gauge data. Table 3.1 summarizes the results. Altogether in the 7 storms, 1,099 (157 WSR-88D Grids * 7) individual radar-gauge comparisons were made. The total amount of rain involved varied considerably from storm to storm, from gauges recording an average of 6.3 inches on September 3-4, 1998 to gauges recording an average of 0.9 inches on August 9, 1998 (Table 3.2). When all the storms were combined, agreement between gauges and radar was weak, with the total for the gauges being 20.9 inches on average and that for the radar 8.1 inches on average, a difference of 61%. However, when the storms were considered individually two storms had a radar-gauge difference less that 5%. The following sections will attempt to explain differences between radar and gauge precipitation in each storm. The SPSS linear test proved that using a non-linear equation function did not improve the relationship between the doppler and gauge data, therefore, the results of the SAS linear regression model was documented for all events. Table 3.3 and Table 3.4 summarize the results of the root mean square error (RMSE) and the SAS regression model for all 7 events for the county zone, the 8 mile cone of silence zone and the zone outside the 8 mile cone of silence boundary. Figure 3.1 displays the zones. Table 3.5 provides the RMSE and the regression output for the Twelve Mile Creek and Fourteen Mile Creek (creek basin) tipping gauge comparison. These sections will also include an explanation of the physical synoptic factors attributing to the differences. The storms are grouped by synoptic type; stratiform, convective, and tropical, for discussion purposes. It is difficult to draw solid conclusion based solely on synoptic type since this analysis is limited to 7 events. Three events were classified as stratiform in nature; September 24-28, 1997, January 22-23, 1998, and February 3-5, 1998. In warm frontal storms, large-scale lifting or overrunning creates extensive areas of clouds and precipitation. The precipitation is generally stratiform in nature with rain often persisting for hours. The precipitation is usually uniform, but can have mesoscale bands of heavier rain. In all 3 events the hourly rainfall was generally light and the drops were small as indicated by observation comments from the observers. Most of the light, drizzle rain was not detected at all. Even during the hours when the rainfall was moderate, the raindrops were apparently smaller than average causing the radar to seriously underestimated the rain. The radar performed the worst out of all 7 events during September 24-28, 1997. Figure 3.2 and Figure3.3 shows the difference between WSR-88D estimated precipitation and the gauge precipitation. (Note: The histograms throughout this study show differences at a scale of 100m by 100m not at the 4 km by 4 km resolution. The original interpolated surface was at this resolution before being summed by the 4 km by 4 km WSR-88D grids.) Most of the WSR-88D grids were underestimated by -4.02 to -5.69 inches. The WSR-88D estimated precipitation averaged only 16% of the gauge recorded precipitation. Figure 3.4 and Figure 3.5 displays the comparison between the tipping gauge data and the WSR-88D surface. The underestimated results were consistent for this smaller scale analysis. These 22 WSR-88D grids were off by -3.5 to -6.5 inches. The RMSE for the September 24-28, 1997 storm was 4.31 inches for the entire county, 4.15 inches outside the 8 mile cone of silence region, 4.92 within the cone of silence region, and 4.90 inches in the Twelve Mile Creek and Fourteen Mile Creek basin. The R2 confirms the weak relationship between the radar and gauge precipitation amounts (Table 3.4 and Table 3.5). The F statistic for the overall model is not significant, indicating that the WSR-88D grids do not explain a significant portion of the variation in the gauge data. The R2 of 0.27 with a F statistic of 7.551 for the creek basin proved to be significant. One aspect of this event which should be considered is that the Columbia radar underwent a calibration change in mid-October after this event occurred. The calibration was suppose to improve the radar's estimation capabilities. This event was included to serve as a control to see if significant improvement was noticed after the calibration. Results from the January 22-23, 1998, did not substantially improve. The WSR-88D estimated precipitation averaged a low 26% of the gauge precipitation. Figure 3.6 and Figure 3.7 show gauge and radar estimates and the differences between them. The histogram in Figure 3.7 shows the majority of the grid cells were underestimated by -0.86 to -1.04 inches. The tipping gauge analysis enforces this conclusion (Figure 3.8 and Figure 3.9). Table 3.3 and Table 3.5 shows the RMSE values. The R2 of 0.52 for the entire county, 0.66 for cone of silence region, and 0.57 outside cone of silence was surprisingly high. The spatial precipitation distribution displayed in Figure 3.6 does not visually support this moderate correlation. The February 3-5, 1998 WSR-88D estimated precipitation was consistently low as compared to the gauge data. The WSR-88D estimated precipitation averaged 24% of the gauge precipitation with two WSR-88D grids recording less than 10% of that by the gauges. Figure 3.10 and Figure 3.11 exhibits this weak relationship between the WSR-88D and the gauges. The WSR-88D grids within the creek basin were underestimated by at least -2.26 inches (Figure 3.12 and Figure 3.13). The 0.91 RMSE only varied by 0.01 within and outside the cone of silence. There was no correlation between the radar and gauges within the cone of silence region. Outside the cone of silence the relationship was weak with an R2 of 0.27. In summary, it appears that in stratiform storms with light, widespread rain and small dropsize there is significant underestimation by the radar. Even excluding the September 1997 storm because of the calibration change, the January and February storms were underestimated by 75%. Three events were classified as convective storms; October 22-26, 1997, April 8-9, 1998, and August 9, 1998. April 8-9, 1998 included a prefrontal squall line and hail reported on both days. Considering these hail events and the typically large dropsizes during convective storms, the radar was expected to overestimate the events, especially the April storms. It is surprising then, that precipitation during the October event was underestimated by the radar. The highest WSR-88D grid precipitation amount was only 63 % of the gauge data. Figure 3.14, Figure 3.15,Figure 3.16, and Figure 3.17 provides the radar-gauge comparison. Despite the overall low estimation, an R2 of 0.30 was found for the zone outside the cone of silence and an R2 of 0.48 in the creek basin (Table 3.4 and Table 3.5). This demonstrated that the patterns and distributions of the rainfall event were somewhat related. The F statistic was found to be significant in both cases. The significance of the F statistic for the cone of silence was probably attributed to the large number of observations (123). The April and August events had the highest average percent accuracy with the radar estimating 96% of the gauge data. The radar estimation accuracy was not consistent for either event. In several grids, the radar estimated only 17% of the gauge data during the April storm while others were estimated at 210% of the gauge data. The gross overestimation could be related to hail. NWS storm reports documented hail in Lexington County on April 8th. Sixty-six WSR-88D grids were overestimated and 91 underestimated. Figure 3.18, Figure 3.19,Figure 3.20, and Figure 3.21 presents the radar-gauge relationship for the county and the creek basin. There was only a 0.05 inch difference between the inside and outside cone of silence regions, 0.53 and 0.58 respectively. Despite the improvement in the radar estimation the R2 was 0 for the county because grid for grid the correlations were weak. Similar results were found for the August storm. Radar estimates in several WSR-88D grids were only 5% of the gauge data while others were 481% of the gauge data. There may have been hail during this event even though none was officially reported and this could account for the outrageous overestimation. The extreme overestimation could also be a result of the point gauge measurements missing cells with embedded heavy rain. Even with a dense network of gauges these heavy rain cells can be missed unless the event is occurring at the exact gauge sites. Fifty-four WSR-88D grids were overestimated and 103 underestimated. Thirteen grids were overestimated by 100% to 181% of the gauge data. Figure 3.22, Figure 3.23,Figure 3.24, and Figure 3.25 displays the radar-gauge relationship for the county and the creek basin. The grid for grid correlation was also weak for the August storm with an R2 of 0 for all zones. The RMSE ranged from 0.49 to 0.75 (Table 3.3 and Table3.5). In an effort to explain the extreme overestimation for both the April and August event Figure 3.26 was created to display the WSR-88D grids associated with the extreme overestimation. Several of the cells are consistent among both events. It may be coincidental since the April grids match where there were reports of hail. Those grids within the 8 mile zone may be related to the distance from radar factor. It is also worth suggesting that there could be an association among the grids due to proximity to Lake Murray. There are two potential scenarios. A discontinuity between the moisture and temperature levels over the land and the water exists. The land will be warmer than the water in the afternoon creating a lake to land breeze which could cause a rainshadow immediately near the lake with rain being produced along a boundary away from the lake. The radar may not detect the boundary and therefore overestimate the precipitation close to the lake. Scenario two is more appealing in these two events. The thunderstorms may be picking up moisture as they move over the lake dropping it at a distance away from the lake. The radar would detect the increased moisture in the atmosphere near the lake and record a heavier rainfall than is actually occurring while the heavier rain is actually being deposited a distance away with the radar underestimating the amounts in these locations. It is impossible with only 2 events to draw any concrete conclusions. In summary, the factors during these convective storms which probably have the greatest effect on radar measurements is enhancement of reflectivity by hail and larger than average raindrops and diminution of estimation by small drops and downdrafts. The reflectivity from hail and large droplets are high as compared to the precipitation equivalent. Conversely, smaller drops yield a lower reflectivity as compared to the precipitation equivalent. The influence of downdrafts could also be causing the radar's underestimation of precipitation because downdrafts are associated with the rainshafts in convective cells. Austin (1986) found that downdrafts can cause a 15% to 50% underestimation. Fortunately for South Carolinians, only 1 tropical system significantly impacted the study area during the period September 1997 - September 1998. This is a limiting factor for this section because only one example can be provided. The remnants of Tropical Storm Earl moved across South Carolina on September 3-4, 1998. This system produced heavy rains exceeding 5 inches within a 25 hour period. The NWS anticipated the radar's problem with handling this tropical event so the alternate Z-R relationship (Z=250R1.2) was implemented. The NWS staff emphasized that the radar's performance definitely improved in comparison to the performance during Tropical System Danny, July 1997. Despite this suggested improvement the radar consistently underestimated the event. The WSR-88D estimated precipitation ranged from 20% to 86% as compared to the gauges. Table 3.2 shows that the highest WSR-88D grid estimate of 4.94 inches was the lowest value indicated by the gauges. Figure 3.27, Figure 3.28,Figure 3.29, and Figure 3.30 presents the radar-gauge comparison spatially. The majority of the 100m by 100m grid cells were underestimated by -2.94 to -3.67 inches. The results from the tipping gauge comparisons show similar results. The RMSE varied from 2.36 inches within the cone of silence region to 3.38 inches outside the region (Table 3.3 and Table 3.5). The R2 values for the two zones within the county were 0.03 (Table 3.4). The R2 for the creek basin was 0.87 with a significant F statistic of 132.409. This would indicate that within the creek basin the WSR-88D grids explained a significant portion of the variation in the gauge data. Since this is the only event where the creek basin R2 was substantially higher than the manual gauge study it is impossible to conclude that it was anything other than a random occurrence. In an attempt to determine the relationship between the 7 events, the WSR-88D precipitation represented as a percentage of the gauge data (1, 099 observations) was entered into an ANOVA to test if the events were significantly different. The Student-Newman-Keuls (SNK) tested the homogeneity of all the means. The percentage data was used since the scale of the 7 different precipitation events varied by as much as 5 inches. Figure 3.31 presents the results. There was not a significant difference between the event means for October 22-26, 1997, January 22-23, 1998, and February 3-5, 1998. However, the other four events were each significantly different. The results did not coincide with the synoptic classification factors discussed earlier, however, the January and February storms were both stratiform events. One consistency between October 1997, January 1998, and February 1998, was that the radar's performance was weakest during these events excluding the September 1997 storm because of the calibration change. It is not surprising that the means were different based on the varying percent of accuracy levels as well as the spatial distribution of the results. The results of the Geographic Information System (GIS) and the SAS regression and ANOVA models are generally consistent in their analysis of the radar-gauge comparison. Both show that the radar usually underestimates precipitation independent of the storm type. This chapter briefly discusses the utility of the loose coupled GIS model, followed by a more thorough discussion of the radar's performance. GIS provided the platform needed to manipulate the layered, spatially distributed databases involved in this study and the specific GIS model created for this study provided an effective and efficient tool for examining the relationship between the radar and gauge data. The ability to query, chart, map, summarize, and tabulate output within one model was invaluable for the process. The model would have been more temporally efficient had the ANOVA and regression model been embedded within the GIS as had the RMSE computations. The alternative loose coupled approach was used since ArcView software performed the analysis at the finest resolution of the interpolated surface (100 m * 100m). This resolution was inappropriate because it was not compatible with the radar output. In addition, the total number of small grids (384,400) distorts interpretation of the regression results due to the large number of degrees of freedom. As with any statistical computation, the individual tests should not be used as a stand-alone model of the event. The radar consistently underestimated precipitation in 5 out of the 7 storms studied. The radar also underestimated precipitation in the April and August storms, but some grids were excessively overestimated. The potential physical factors causing these errors were provided in Chapter 3. The discussion that follows will explain why these factors influence and diminish the radar's performance. The radar's inability to measure dropsize distribution has historically been recognized as a problem since different dropsize distributions can generate identical reflectivities, affecting the accuracy of the rainfall estimate. For example, a cubic meter of the atmosphere with 729 drops, each with a diameter of 1mm, falling at 4 m/s yield the same reflectivity as a cubic meter of the atmosphere with one drop 3mm in diameter falling at 7 m/s. The actual rainfall rate differs between 0.22 inches/hr for the 729 drops to 0.01 inches/hr for the one drop (WSR-88 D Training Manual, 1993). This error source may have been a significant factor in the Lexington County study. The stratiform events were underestimated because of small dropsize, while grids within the convective events were overestimated because of larger dropsize. The reflectivity estimate may also be contaminated by ground clutter, anomalous propagation, hail, and partial beam filling. Hail is probably the only other potential reflectivity error source occurring within this study. Similar to the impact of large dropsizes hail causes a large reflectivity compared to the precipitation equivalent. In addition to the reflectivity error sources we must consider the error in the conversion from the reflectivity (Z) to the rainfall rate (R). There is no unique Z - R relationship. Conversion from reflectivity to rainfall rate is accomplished using Z=300R1.4 (Burgess and Ray, 1992) although an alternative equation Z=250R1.2 (Cammarata, 1998) may be used during tropical events with special permission of the WSR-88D Operational Support Facility (OSF) in Norman, Oklahoma (Burgess and Ray, 1992). Another potential relationship that can be used for intense convective cells is Z=400R1.3 (Austin, 1987), however, most forecast offices including Columbia do not implement this formula. A single Z-R relationship is inadequate to provide the appropriate conversion for all precipitation events. During this study, the default Z-R relationship was used in 6 of the 7 events. As documented, the Columbia radar operators switched to the alternate Z-R relationship during Tropical System Earl's passage. The Columbia NWS staff suggested that the radar's performance was improved by using the Z=250R1.2 (Cammarata, 1998), however, results from this project show a substantial underestimation by the radar. For the other 6 events, the use of one Z-R relationship was probably an error source. Since the study area was within 40 miles of the radar site beam, overshoot was not a potential error source. Beam undershoot was expected to be a problem within approximately 8 miles of the radar site. The results of this analysis didn't find a consistent, pronounced underestimation in the "cone of silence region". The "cone of silence" RMSE was actually less in three storms as compared to the RMSE outside the 8 mile boundary. It has been suggested that the entire study area of Lexington County is in the cone of silence region. Results from this project discount this theory since there is not an improvement in the radar's performance along the outer grids of the county. A potential error source as documented by the WSR-88D Training Manual (1993) is incorrect hardware calibration that would impact the Z estimation. This is introduced outside the Z estimation section because it differs from the other error sources. The WSR-88D is self-calibrating and therefore improved over previous radars. However, the radar does require calibration such as performed on the Columbia radar in mid-October 1997. I introduce incorrect calibration as a potential error source for the Columbia radar. Reports such as that by Lott and Sittel (1993) present varying levels of performance for radars within one region. These radars experience the same error sources of reflectivity. They use the same default Z-R relationship and yet the performance for several of the radars were significantly better than that of others. Could the error source be incorrect hardware calibration? The answer is beyond the scope of this project. The final phase of the project was the test for homogeneity between the 7 events. If consistency had existed, a potential constant coefficient of adjustment could have been combined with the radar data to make the surface more comparable to the gauge results. This was an ideal, but unrealistic expectation considering the varying performance levels of the radar. The purpose of this project was to determine the accuracy of the WSR-88D radar rainfall estimates as compared to precipitation measured in a dense rain gauge network. The study explained, quantitatively, the discrepancies between the gauge and radar rainfall amounts for seven precipitation events in Lexington County, South Carolina. The project used a loose coupled Geographic Information Systems (GIS) approach to model the relationship between the gauge and radar data. The results show that the radar consistently underestimated precipitation in most circumstances. The radar was unable to accurately estimate precipitation regardless of synoptic type. It overestimated rainfall in individual grid cells during 2 events, but the majority of the WSR-88D grids within these storms were underestimated. The mid-October 1997 calibration did improve the radar's performance as compared to September 24-28, 1997 event. The results from the tipping gauge comparison echo the results from the manual gauge study. The magnitude of error between the radar and the gauge was similar regardless of which recording equipment was used, tipping or manual. Having the ability to compare the radar with two different ground recording devices strengthened the results. Error sources such as varying dropsizes and strong downdrafts were provided as physical factors altering the radar's performance. Beam undershoot associated with being within 8 miles of the radar did not influence the radar's estimation capabilities. This conclusion may be skewed by the overall weak performance of the radar. The question of incorrect hardware calibration was also suggested as an error source. The network of 62 manual and 10 tipping gauges placed at a density of approximately one gauge per 10 square miles provided the dense spatial coverage needed to accurately represent the rainfall across an extended area. A continuous precipitation surface was required for the radar-gauge comparison. Any error in the interpolated gauge surface would have propagated through the radar-gauge comparison introducing a bias into the results. The interpolation error in this study was decreased due to the dense station coverage and by choosing the more accurate of the two interpolation techniques for each event. Most climatological studies do not have access to a dense network of reporting stations. Researchers depend on data from the sparse network of National Weather Service stations. Ironically, the research community and decision makers were hopeful that the WSR-88D would provide the continuous precipitation surface. The results from this study conclude the radar can not yet provide the spatial distribution of surface rainfall that is needed for the many operational and research applications. I think that beyond the potential error sources discussed in this study there is one very important aspect of the radar's operation that is being omitted and may be the missing link that will significantly improve the radar's performance. As documented by the WSR-88D Training Manual (1993), the use of real-time automated rain gauges for calibration was a major reason the radar rainfall error sources were expected to be minimized in the WSR-88D. The comparison to a network of automated rain gauges was suppose to be performed to reduce the Z-R relationship errors and effects below the beam. This comparison was expected to take place before the precipitation products were built. This final very important stage has not been implemented and there are questions as to whether it will ever be employed. Because of the great variability in the intensity and distribution of precipitation, more radar-gauge comparisons should be conducted to cover a larger number of storms. This study was purposely limited to precipitation falling within 40 miles of the radar site, however, the Columbia radar provides a coverage for the majority of South Carolina. An analysis of the radar's performance statewide is needed. Even though a dense network of stations statewide is impracticable, use of the National Weather Service Cooperative network supplemented with data from the State Climatology Office's automated gauges and volunteer weather observers could provide enough stations for a general overview analysis. Stimulated by the results of this study, the State Climatology Office (SCO) has already embarked on an extension to the project that would include analysis of the radar level II base reflectivity data. This base reflectivity data will be examined for the same 7 events in an effort to conclude whether the error sources were caused by inaccurate reflectivity values, an incorrect Z-R conversion, or a combination of the two. The base reflectivity data will be entered into different Z-R equations in an effort to produce a more reliable radar estimate of precipitation. The precipitation amounts will then be calibrated using the network of gauges. The resultant product should provide a much improved estimate of precipitation. Funding. United States Department of Commerce. Anonymous Author. 1998. Real-Time Calibration of Radar Precipitation Estimates. Unpublished Article. 1-36. ARC/INFO Help Menu. 1996. Environmental Systems Research Institute Inc.
ArcView Spatial Analyst. 1996. Environmental Systems Research Institute, Inc.
Austin, 1987. Relationship Between Measured Radar Reflectivity and Surface Rainfall. Monthly Weather Review. 1053-70. Badar, M.; Forbes, G.; Grant, J.; Lilley, R.; and Waters, A. Images in Weather Forecasting. 50-69. Baker, S. 1999. Personal Communication. Battan, L. 1976. Vertical Air Motions and the Z-R relation. Journal of Applied Meteorology. 15: 1120-21. Thunderstorm Observation and Analysis. University of Oklahoma Press, 171-186. Modeling. Proceedings of the American Meteorological Society 13th Conference on Hydrology. J136-39. Brown, M. 1999. Personal Communication. WSR-88D WSR-88D Products By the Media. 1-44. Cammarata, M. 1998. Personal Communication. Charnick, R. 1999. Personal Communication. American Meteorological Society 74: 1669-87.
the American Meteorological Society 74: 645-49. DeMers, M. 1997. Fundamentals of Geographic Information Systems. John Wiley & Sons, Inc.
Joss, J., and Lee, R. 1995. The Application of Radar-Gauge Comparisons to Operational Precipitation Profile Corrections. Journal of Applied Meteorology 34: 2612-30. Klazura, G. E.1982. Differences Between Some Radar-Rainfall Estimation Procedures in a High Rain Rate Gradient Storm. Journal of Applied Meteorology 20(11):1376-80. Krajewski, W.; Anagnostou, E.; and Ciach G. 1996. Effects of Radar Observation Process on Inferred Rainfall Statistics. Journal of Geophysical Research 101: 26,493-502. Lam, N. 1983. Spatial Interpolation Methods: A Review. The American Cartographer. 10(2): 129-149. Lott, N. and Sittel, M. 1996. A Comparison of WSR-88D Rainfall Estimates with recorded Amounts. National Climatic Data Center Technical Report 96-03. Marsalek, J. 1981. Calibration of the Tipping-Bucket RainGage. Journal of Hydrology 53: 343-54. Marshall, J., and Palmer, W. 1948. The distribution of rain drops with size. Journal of Meteorology 5: 165-66. National Climatic Data Centers Radar Resources. 1997. National Climatic Data Center Internet Site. SAS/STAT Users Guide. 1990. SAS Institute, Inc.
Cokriging 1. Design Experiments. Water Resources Bulletin. 26(3): 469-77. SURFER for Windows. 1996. Golden Software, Inc. Creating Grid Files. 5-14  38. Tomlin, D. 1990. Geographic Information Systems and Cartographic Modeling. Prentice-Hall, Inc.
UNIDATA Equipment Manual. 1996. UNIDATA, Inc. Model 6506B Rain Gauge. Wilmott, C. 1982. Some Comments on the Evaluation of Model Performance. Bulletin of American Meteorological Society. 63(11): 1309-1313. Atmospheric Administration, National Weather Service, Operations Training Branch, Operational Support Branch. Yang, D.; Goodison, B.; Metcalfe, J.; Golubev, V.; Bates, R.; Pangburn, T.; and Hanson, C. 1998. Accuracy of NWS 8"
and Oceanic Technology 15: 54-67. Sept 24-28,1997 Tropical moisture was pumped into the state by a low pressure system. Waves moving across frontal boundary. It was a stratiform precipitation event. Oct 22-26,1997 Cold front produced precipitation. Moist unstable air ahead of front sparked convective thunderstorms. Jan 22-23, 1998 The rain was caused by a warm front approaching from south and cold front from west. Had an inverted trough and cold air damming. Stratiform precipitation resulted. Aug 9, 1998 There was moist air and a weak disturbance in the upper atmosphere causing thunderstorms. Sept 3-4, 1998 The remnants of Tropical Storm Earl produced heavy rains with embedded thunderstorms. Since the ANOVA proved no significant difference between interpolation techniques the range and summed absolute error were used as criteria. Removes reflectivity outliers that can cause precipitation overestimation. A range bin is flagged as an outlier if its reflectivity value exceeds the current outlier threshold (MXRFL, 65 dBZ). If all eight neighboring range bins have values below MXRFL, the outlier is replaced by the average of the eight neighbors. Sensor consists of a gold anodized aluminum collector funnel with a knife edge that diverts water to a tipping bucket mechanism. The mechanism is designed so that one alternate tip of the bucket occurs for each 0.01 inch of rainfall. A magnet is attached to the tipping bucket which, as the bucket tips, actuates a magnetic switch. A momentary switch closure takes place with each tip of the bucket. The sensor is connected to an event counter on an electronic datalogger which records the accumulated rainfall. The spent water then drains out of the bottom of the housing unit. /* text file to standard output to go along with the fishnetutm coverage. /* an algorithm for converting from dba to inches, which is used here.